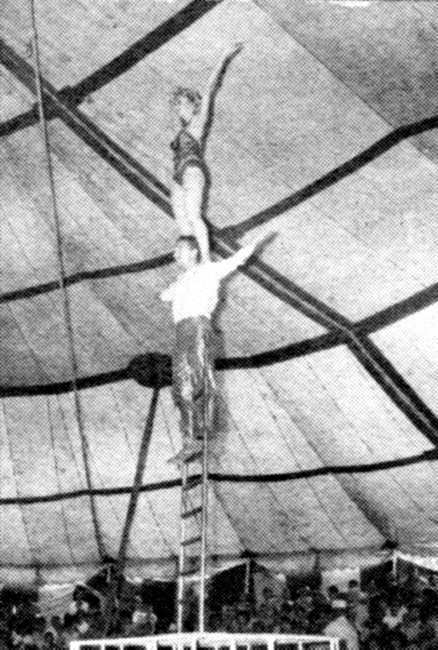 Pietro and Joyce Canestrelli, circus performers. Pietro Emilio Canestrelli was born on November 7, 1925, in in San. 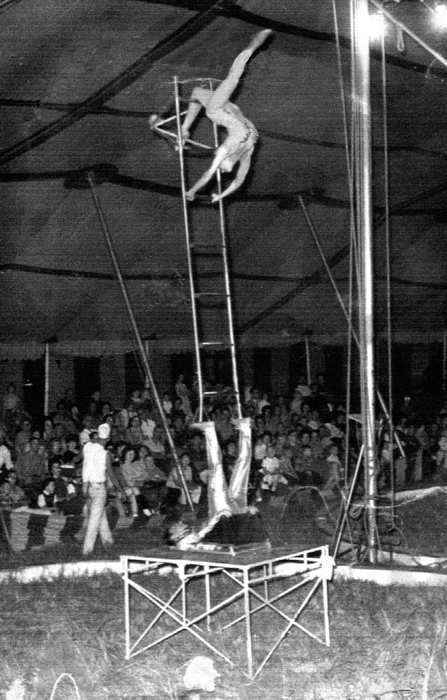 Pietro, Guanano, Cosenza, Italy to circus performers Riccardo and Olga Canestrelli who operated a family circus in Europe for over fifty years. 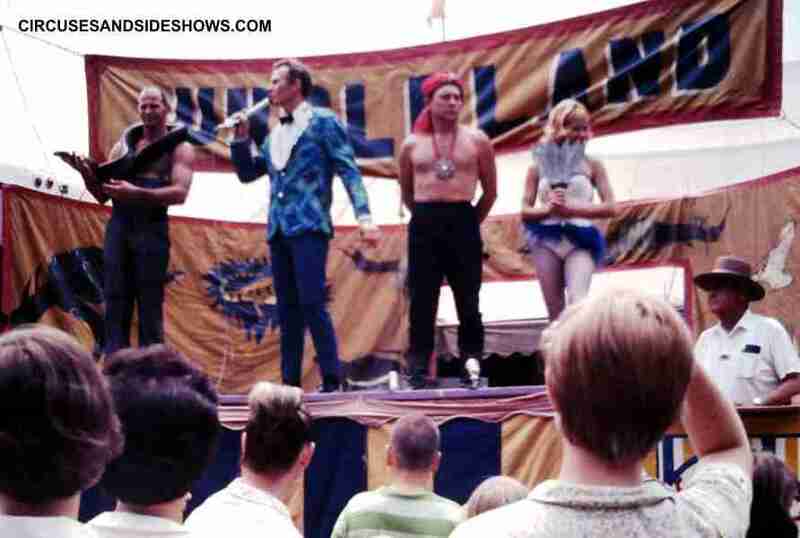 In 1956 Pietro, his brother Oreste and niece Aurelia Canestrelli (Nock), came to the United States to perform with the Ringling Brothers and Barnum & Bailey Circus. 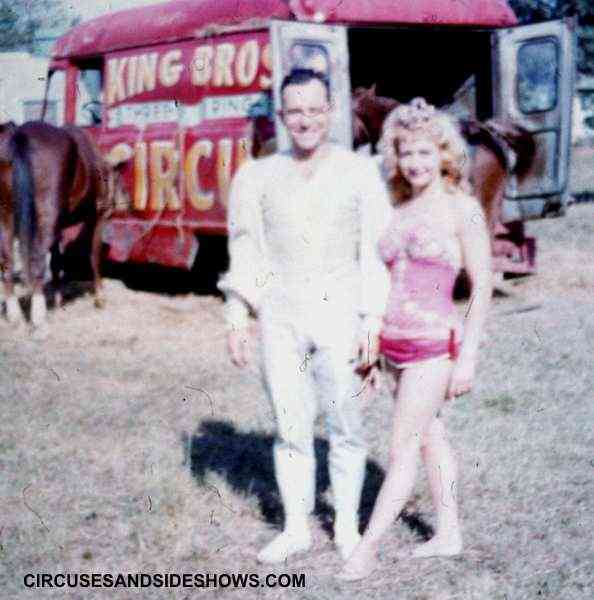 In 1958, while working on the Gil Grey Circus Pietro met his soon to be wife Joyce (born April 26, 1933 in New York, NY). The couple were married on July 28, 1958 in Kearney, Nebraska. Pietro and Joyce became two of the most versatile performers ever to work on American circuses. 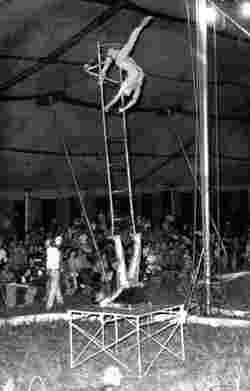 A few of the acts they did are; unsupported ladder, rola bola, revolving ladder, aerial cradle, fire eating, knife throwing and presenting animals. During their busy career it is amazing that they found time to raise six children. 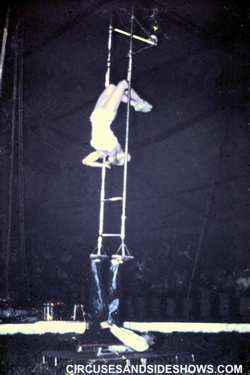 Pietro's signature act was the "unsupported ladder", a balancing act where he would rapidly climb and balance atop a vertical, freestanding ladder. Pietro never stopped working, in simi-retirement he taught circus arts at the "Sophia Isadora Academy of Circus Arts", in San Diego, CA., There he taught children, young people, and adults the skills and discipline needed to perform in the circus. After eight decades of performing, Pietro Emilio Canestrelli died on December 03, 2014 at San Diego, California. Pietro and Joyce on the Hoxie Bros Circus sideshow bally. Hoxie Tucker in ticket box. Pietro and Joyce performing their foot balancing ladder.